Investors have begun 2018 much as 2017 ended – with a high appetite for risk (call that complacency if you will) and a willingness to ignore politics in the hunt for return of any kind. Hence arises the conundrum we have regularly referred to – ie. that market volatility remains stubbornly low while political risk appears to be high. 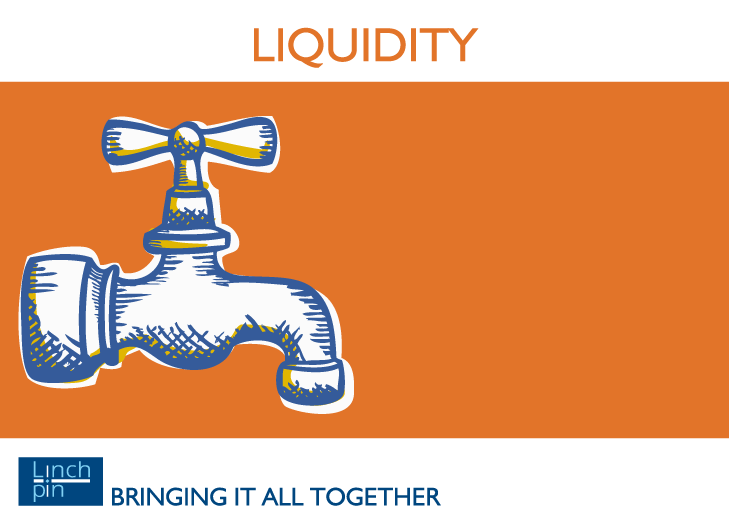 Global liquidity at end December, as measured by our colleagues at CrossBorder, was 51 on a scale of 100. This provides some justification since it is not at a level which predicts any kind of financial crisis. However, when there is a consensus, one has to ask the question: what could possibly go wrong? Well, there are the obvious geo-political risks but they would have to be of a cataclysmic scale to burst investors’ complacency. In the Linchpin view of the world, all market setbacks involve some form of financial crisis where one entity can’t pay its debts to another. Think back to the UK in the 1970s, Latin America in the 1980s, Russia in 1998, Enron in 2002 or banks in 2008. We can only see a few plausible candidates here, principally in the US and China. Today’s headlines feature a technical break of the US two year bond yield downward trendline, with comments that they are for, the first time in ten years, close to 2008 levels. If this does signal an end of the bull market in bonds and a normalisation of the ‘price’ of money, that has the potential to impact investor complacency, simply because of the level of debt in the western economy. Investors should also keep an eye on the US$ since cross-border flows out of the US are accelerating. If currency weakness is gentle, investor confidence will probably be maintained; however a sudden lurch could be sufficient (as in 1987) to burst confidence, and lead to a further rise in bond yields and downward repricing of equities. China is another possible candidate, though the level of state control in the financial system means that any financial crisis would be the result of deliberate state intervention rather than market forces. We are more optimistic about China than the consensus in the short term but are also aware that at some point the People’s Bank of China will need to turn off the monetary taps, as it did in 2015, to control excessive domestic credit growth. This is not a 2018 story but if it is done in a clumsy way, so that there are major defaults, the domino effect may take over. All that said, despite the jitters in US bond markets, we are not predicting an imminent correction, simply because the gross level of cross-border flows remains healthy (currently 66 on a scale of 1 to 100) at the end of December. It is when they turn sharply down that we should be afraid. So we will be watching them closely in 2018 and until then will retain a reluctant ‘risk-on’ mindset.